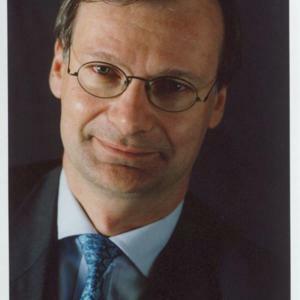 Pierre Nanterme (Accenture): "Yes, Leadership = Learnership"
As there are a thousand Hamlets in a thousand people's eyes, so are our visions of leadership unlimited. In this exclusive interview with Leaders League, Pierre Nanterme and David Rowland shared their vision on leadership in the current business environment and its secret ingredients, as well as how to handle ambiguity and uncertainty. David Rowland. The first secret ingredients of leadership are suppleness and flexibility. In a rapidly changing environment, leaders must accompany the change. When I think of the greatest leaders of today, they are individuals who are constantly reinventing themselves and their approach. This is very different from leaders of fifty years ago. Today's leaders must be flexible and evolve quickly in their profession. Next is to successfully become a symbol of motivation for one’s whole team. The abilities to set up the right team, to make the right choices, and to motivate and support the team are all necessary qualities attributes of leadership. P. N. Collective, of course! But leadership works collectively only if each member of the team exhibits strong individual leadership. This is particularly true in larger structures. Effort must be collective in order to lead the company in the right direction. Making the best group decision is an appeal to the best leaders from all departments, marketing, legal... Therefore, what we try to do first is assemble and develop the best individual leaders, while retaining a collective environment that allows us to make the best unified decisions. D. R. Yes, leadership is definitely a team sport, without a doubt, and I think it is difficult for a team leader to build an effective team if he or she does not unite strong talents exemplary of individual leadership. In this way, there is a greater collective impact in terms of leadership in the organization.